Articles will be short but with high quality and critical content. They will be free from academic or overly technical jargon. Pieces will be useful for union activists and labour researchers and should stimulate thought and debate. Contributions will include opinion pieces, journalistic summaries of academic papers, comments on government responses to the crisis, and commentary on unfolding struggles, discussions and debates within specific national contexts and by the global union movement. The column, managed by the Corporate Strategy and Industrial Development (CSID) research programme at the University of the Witwatersrand, South Africa, is part of the Global Labour University (GLU). GLU is a network of Universities offering unique masters programmes to trade unionists around the world (Brazil, South Africa, India and Germany). GLU’s courses are jointly developed by universities and workers’ organisations and are aimed at students from trade union and social movement backgrounds in developed, developing and transition economies. 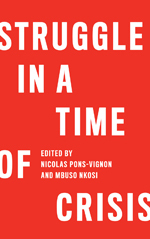 Nicolas Pons-Vignon and Mbuso Nkosi are the editors of the Global Labour Column. They are assisted by a team of reviewers from the ILO, Wits university and beyond. The following GLU alumni are part of the GLC editorial team. They assist in sourcing and editing contributions to the GLC. Baba Aye, Deputy Secretary General & Head of the Education, Planning & Research department of Medical & Health Workers' Union of Nigeria." We thank the ILO Bureau for Workers' Activities, the ILO Regional Office for Africa, the Swedish International Development Cooperation Agency (SIDA) and the Friedrich-Ebert-Foundation (FES) for their generous financial support.